PHIPPS, GEORGE AUGUSTUS CONSTANTINE, 3rd Earl of Mulgrave and 2nd Marquess of Normanby, colonial administrator; b. 23 July 1819 at Whitby, England, only child of Constantine Henry Phipps, 1st Marquess of Normanby, a leading Whig politician, and Maria Liddell, eldest daughter of Thomas Henry, Lord Ravensworth; m. in 1844 Laura Russell, and they had seven children; d. 3 April 1890 at Brighton, England. 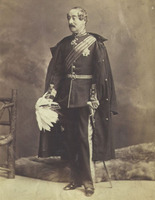 Lord Mulgrave’s early years were spent in the army, serving in the Scots Fusilier Guards (1838–43) and the North Riding Yorkshire militia (1846–53), and in politics. 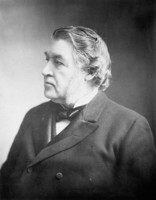 He was Liberal member of parliament for Scarborough from 1847 to 1851 and again from 1852 to 1857, comptroller and later treasurer of the royal household (1851–58), and a party whip (1853–58). 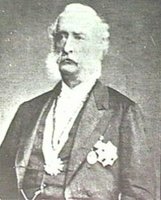 In January 1858, in succession to John Gaspard Le Marchant*, Mulgrave was appointed lieutenant governor of Nova Scotia, at a time of constitutional uncertainty in that colony. The principle of responsible government had been formally adopted in the colony in 1848 but it was taking considerable time and controversy to establish its conventions and practices. Politicians wrangled over the exercise of the governor’s diminishing prerogatives and readily exploited for partisan ends his anomalous position as both imperial agent and titular head of the local executive. Mulgrave’s predicament was exacerbated by the difficulty of operating a sophisticated system of cabinet government in Nova Scotia where there existed neither disciplined parties nor the distinctive political principles or socio-economic antagonisms to create them. Since politics in Nova Scotia consisted of an internecine struggle to secure or retain office by all available means, political battles were fought with unrestrained ferocity and personal rancour. Mulgrave became embroiled in these squabbles as a result of the election of May 1859 when the Conservative ministry of James William Johnston*, though defeated at the polls, refused to resign, as was later to become the accepted practice. In the absence of colonial precedents Mulgrave allowed the Conservatives to remain in office pending the next regular session of the legislature in January 1860, and rejected opposition demands for an early, special session to test the disposition of the lower house. When the assembly convened and the government was defeated in a vote of non-confidence early in February, he refused it a dissolution and William Young then formed a Liberal administration. Further difficulties for Mulgrave arose from an exceptional flood of petitions which challenged the election of 20 of the 55 members on the ground that as holders of salaried public offices they were disqualified from sitting in the assembly under a provincial act of 1858. Liberal-dominated committees of the legislature proceeded to decide these controverted elections in favour of the Liberal candidates with such devious investigations and blatant bias that the Conservatives demanded a dissolution. When this was denied them by Mulgrave the Conservatives protested unavailingly to the colonial secretary, the Duke of Newcastle, when he was in the province in the summer of 1860, accompanying the Prince of Wales. Mulgrave despaired of moderating the rabid factionalism of party contests with an infusion of the forbearance and courtesy he felt characterized British politics. During the early 1860s he saw no prospect that a federation of the British North American provinces would raise the level of political life and preferred the plan of maritime union as better suited to Nova Scotia’s interests and less threatening to the imperial connection. Mulgrave’s interest was more congenially turned to a reorganization of the militia at a time when the outbreak of the American Civil War in 1861 focused attention on the state of defence in British North America. To remedy the unsatisfactory condition of the provincial militia, he encouraged the formation of volunteer rifle corps and persuaded the British authorities to supply modern weapons and instructors. By 1863 some 2,364 men had enrolled in 56 new volunteer companies formed by various ethnic groups and local communities; they provided their own equipment, accoutred themselves in exotic uniforms, and exhausted their martial ardour in rifle-shooting competitions. But Nova Scotian enthusiasm for the militia movement was a product of social fashion; after 1863 the craze passed and those volunteers who remained were gradually subsumed into the old battalions which sank back into their former state of inertia. On the death of his father Mulgrave returned to England in July 1863 and spent the next seven years as lord-in-waiting to Queen Victoria and then captain of the corps of gentlemen-at-arms. In April 1871 he was appointed governor of Queensland, Australia. After an uneventful term he became in September 1874 governor of New Zealand where he clashed with the premier and refused a dissolution requested by him. 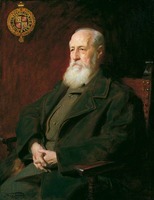 In February 1879 Mulgrave was transferred to Victoria, Australia, where in 1881 he again fell into a similar dispute with the premier over a dissolution. 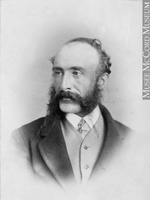 Mulgrave left for England in August 1884 and retired from public life. He was created a privy councillor in 1851, kcmg in 1874, gcmg in 1877, and gcb in 1885. Mulgrave was a colonial administrator of solid, business-like habits and considerable political sagacity who understood the complexities of constitutional practice and could manage men with a judicious blend of tact and firmness. But behind the conventional courtesy and preference for conciliation lay a strong, even stubborn, personality which was easily aroused when colonial politicians seemed to sacrifice public welfare for partisan purposes. Although he could be gracious and genial in conversation, he possessed a taciturn, somewhat humourless disposition. His undisguised indifference to popularity and dislike of vice-regal ostentation inhibited him from providing colonial society with the stylish, urbane leadership that was expected of a titled governor who no longer wielded effective political power. PANS, RG 2, sect.2, 1–2; RG 6, sect.2, 32. PRO, CO 217/221–32; CO 218/35–36. Illustrated London News, 20 Feb. 1858, 10 Feb. 1866, 19 April 1890. Times (London), 4 April 1890. Whitby Gazette (Whitby, Eng. ), 11 April 1890. DNB. H. W. MacPhee, “The administration of the Earl of Mulgrave in Nova Scotia, 1858–1863” (ma thesis, Dalhousie Univ., Halifax, 1949). W. M. Whitelaw, The Maritimes and Canada before confederation (Toronto, 1934; repr. 1966). J. M. Beck, “The Nova Scotia ‘disputed election’ of 1859 and its aftermath,” CHR, 36 (1955): 293–315. Peter Burroughs, “PHIPPS, GEORGE AUGUSTUS CONSTANTINE, Earl of Mulgrave Marquess of;Normanby,” in Dictionary of Canadian Biography, vol. 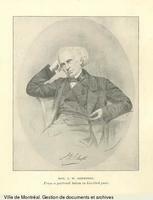 11, University of Toronto/Université Laval, 2003–, accessed April 26, 2019, http://www.biographi.ca/en/bio/phipps_george_augustus_constantine_11E.html.